Technologies come and go, but leave behind a sea of opportunities that need to be tapped. SOUTECH help you avail the opportunities. Android application development has become indispensable for all business as the use of mobile phones has gone up drastically. 70% of all hand held devices run android applications across the world. Consumers use Android applications for all their works from booking tickets to shopping and reading books. It would always help if they get apps from their loyal brands. Companies can keep their client posted and communicate directly by launching business apps. Android apps have expanded beyond mobile phones as mobile manufacturing companies have launched tablet devices that run on android OS. It’s time to capitalize the opportunities before it too late. SOUTECH, based in Nigeria, provides android apps development services to its clients from travel to education, corporate to retail, telecommunications to real estate. We design and develop intuitive android apps that meet the business as well as client requirements in sophisticated and friendly manner. We design to engage clients and offer usability experience. Our team of android developers from Nigeria realizes how important it is for you to develop and launch an app that is engaging, graphically elegant, and business centric. Hence, the team works diligently to confer you a robust, scalable and meaningful android solution. SOUTECH has been delivering cost-effective but robust android apps and web development solutions to our clients for years. Our solutions are not just cost-friendly and innovative; it helps businesses in attracting more clients. BlackBerry is reputed as a corporate mobile phone due to its extensive security system, qwerty keyboard and blackberry messenger. BlackBerry has always maintained its position in times of topsy-turvy in smart phone market. After capitalizing corporate world, BlackBerry has headed to common market full of youth who contribute 67% to overall smart phone market. BlackBerry is expanding its business in the mobile phone arena by launching great, intuitive applications on its BlackBerry app store. These apps are finely designed and effective in terms of business usage. It has targeted both the corporate and common market. SOUTECH enables you to capitalize the opportunity to expand your consumer base by helping you launch mobile business applications, games and entertainment applications so as to cover all the user categories. Why choose BlackBerry Application Development? BlackBerry browser for quick webpage refresh. From business application to VoIP, utility and communication applications, our BlackBerry developers are well equipped with requisite training and certification to create business centric user-friendly BlackBerry applications. Our BlackBerry developers are experienced with various successful projects so far to their credit. They can even provide mobile consulting if you are unable to decide as to which application category be profitable. We, at SOUTECH, give shape to your business ideas making sure the mobile application secures attractive ROI. SOUTECH, based in Nigeria, has its strength in HTML development (both web and mobile) that it has proved time and again by producing world class results to businesses across the continents. Our expertise and years of experience has enabled our HTML developers and web designers to learn the new release of markup language i.e. HTML5 in no time. Intelligent Interface: HTML5 is self sufficient when it comes to media on websites, as users do not require downloading SilverLight or Flash to run media on a website. Geo-location Capabilities: HTML5 can be leveraged for mobile technologies and location based applications and tools. This is a mobile age and consumers are inclined towards geo-based tools. Barring this, HTML5 can be used for transportation applications, gaming platforms, and entertainment. HTML5 is an efficient multi-platform content enabler that can create elegant applications and tools for all the mobile operating systems available today such as Android, IOS and Symbian. Our experienced and professional mobile apps developers can create gaming solution for mobile devices as well as intuitive, cost-effective business applications. Scouting to interact with your clients using new means? Leveraging the mobile revolution to a great extent? Would like to outshine your competitors and increase your market share technologically? SOUTECH helps you with the solution. We help you with a robust iPad app or optimized web solution to outsmart your competitors and have an edge. We design apps that meet your business requirements and offer true mobile experience to your clients. SOUTECH enables you to be the part of Mobile revolution. Why Choose SOUTECH for iPad App Development? When it comes to smart phones, the first thing that flashes in the mind is Apple iPhone that has created new standards for smart phones arena. In just 6 years it has changed the way mobile communications happens across the globe sidelining a number of ruling majors.. So, what are you waiting for? Go mobile. If you have any idea, our team of iPhone apps developers can convert that into a business application for your clients and your employees. SOUTECH is a trusted leader of iPhone apps development services. The team SOUTECH banks on has the exposure to various industries and has worked on numerous iPhone apps development projects with international clients. We have been acclaimed for our endeavors to create innovative, intuitive, and cost-effective iPhone applications. We design to the futuristic demands of our clients’ clients. If you want to create an app for iPhone platform and have no idea on how to go about this, you have come to a right place. Our iPhone apps developers in Nigeria have required business acumen, market understanding, as well as the knowledge of what can be done in App Store. Looking at your target clients, our team will define and design an app for your clients at an affordable cost. 32% of mobile internet users go online using their smart phones, 1 in 8 page views is from hand held devices, around 65% of mobile phone time is spent on apps.Around 127.6 million mobile users in the U.S. and 108 million users in Europe consumed mobile media through their mobile browser or application in 2011, a 29% increase over 2010. The staggering statistics of mobile and mobile apps usage bring good opportunities for businesses to leverage on this soaring trend. Where do you want to see your business in the year 2014? At SOUTECH, we build intuitive, responsive, and business centric mobile apps for our clients from diverse businesses. Our mobile solution is one that helps you connect with your global clients in a mobile friendly manner. Ours is a solution that not only helps boost the bottom line of your business, but also expands the client base. Our mobile apps developers work with our clients to understand their specific business requirements in order to provide them with mobile application that suits their needs. The team that SOUTECH has employed has created numerous successful mobile applications for entrepreneurs, start-ups, SMEs, and large scale businesses across continents. After internet, mobile market has taken the world by storm with millions of apps connecting people, entertaining, educating, guiding them and bringing convenience of shopping with mere movements of fingers. There are other major mobile platforms such as Android, BlackBerry and IOS from Apple, but Windows phone has still maintained its position in the market with its intuitive applications that keep their clients engaged. With a motive to stand in the league of android and IOS, Microsoft has started to flex its muscles in the app market by launching Windows 8. With 120,000 apps and 75,000 approved apps developers Windows phones has just begun to gain momentum. 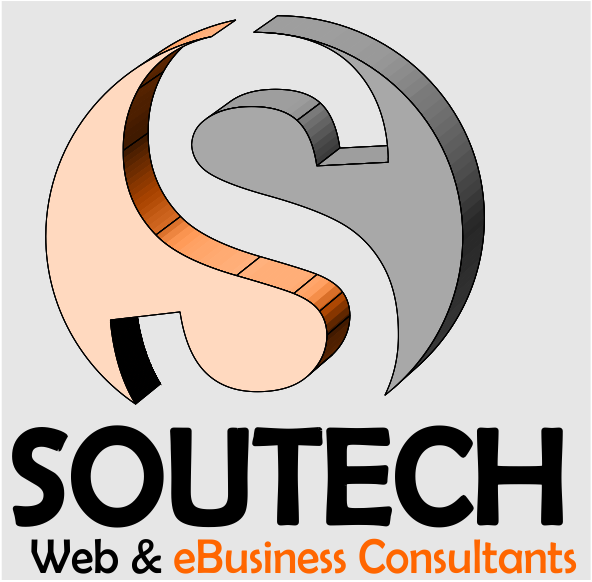 SOUTECH has been offering windows apps development services for more than five years in Nigeria and internationally. We design apps considering our clients’ client base so that the apps keep them engaged. This brings clients closer to the brand and makes them loyal to it. We are committed to providing quality services at an affordable price. Our windows phone apps developers are experienced and certified who first understand our client’s business in order create a supple mobile solution for them. SOUTECH has created a team of windows apps developers who are skilled, trained and highly efficient to create applications of any type and size of any industry. They have extensive exposure to various industries across the world. Before they create an app for our clients, they create a mock up for the app for the client’s approval based on the business requirements analysis. Hiring a windows application developer from SOUTECH is not only affordable, but also an effective option.